The Presentation by Christopher J. Whelan Ph.D.
Dr. Whelan1 opened his presentation with a tribute to Rachel Carson’s legacy in appreciation for Silent Spring. an ecosystem is a unit composed of organisms (animals, plants, fungi, bacteria) together with their physical environment). ecological function is the role of a species in its ecosystem (for example: as a producer, or a consumer). 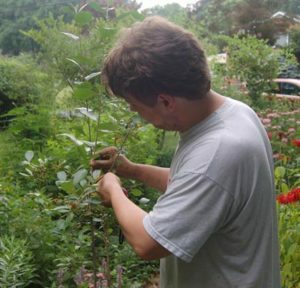 ecosystem services refers to any component of nature that benefits humans. 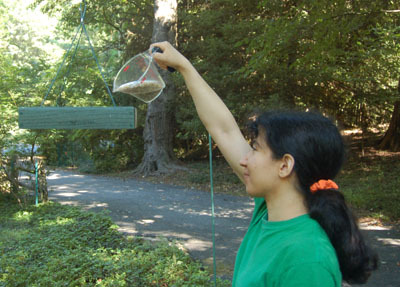 Avian Ecosystem Services (from birds) is an area of recent scientific interest and study. 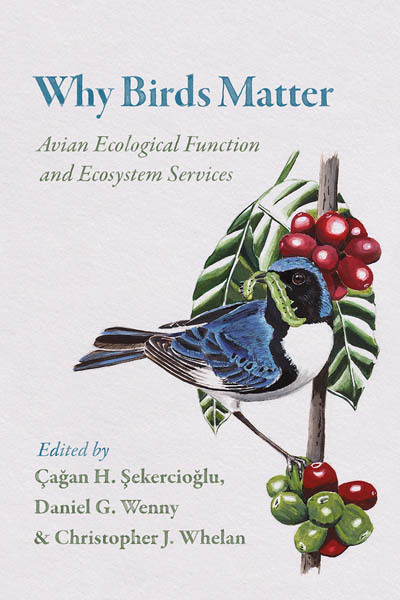 Birds are important ecosystem service providers because: They are widespread and diverse. They perform a number of ecological functions. They are highly mobile and often have been abundant. Cultural Services (linked to aesthetic, recreational, and spiritual experiences). Whelan considered Avian Supporting and Regulating Ecosystem Services together due to overlapping functions. Under this combined group he focused on four types of ecosystem services by birds: Nutrient Cycling, Pollination, Scavenging (disease reduction), and Control of (pest insects and pest rodents). Nutrient Cycling by Birds: Generations of sea birds nesting in areas along the coast of Central and South America have deposited guano (waste material which is rich in phosphate, nitrogen and other nutrients as a result of the birds’ fish-based diets). These sea birds carried out nutrient cycling by bringing the ocean-based material to land, where it could be collected and marketed (in North America and elsewhere). In the late 1800s, this material served as a vital fertilizer component in supporting agriculture, and as a raw material for the manufacture of certain explosives — prior to the early 1900s when the Haber Bosch process was developed (directly synthesizing ammonia from nitrogen and hydrogen). Wars were fought and territory in South America lost and gained in the conflicts to establish access to guano by commercial interests. 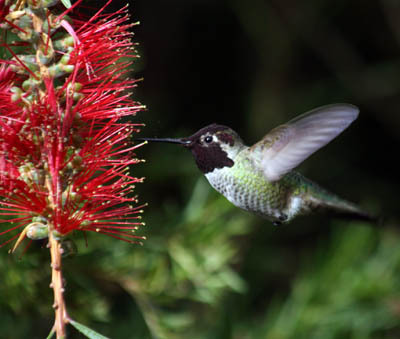 Pollination by Birds: Although the valuable Supporting Service of pollination is mostly performed by insects, birds also provide this service for some plants. The monetary value of pollination in the US is $40 billion, and Worldwide is $200 billion. Scavenging (Disease Reduction by Birds): For generations Vultures in India feeding on carcasses of cattle have helped limit populations of wild dogs by removing a potential food source. When in the 1990s and early 2000s numbers of Indian vultures declined (and their scavenging services diminished), roaming wild dog populations grew more numerous due to feeding on the increasingly available cattle carcasses. With the greater numbers of scavenging dogs there were more rabies cases causing many more deaths in both the canine and in the human populations. For humans, 48,000 rabies deaths (between 1993 and 2006) were linked to the decline in scavenging services by vultures. Researchers eventually determined that vulture numbers were reduced due to the birds being poisoned by a veterinary drug widely used to treat cattle. Vultures were exposed to the drug when feeding on carcasses of treated cattle. Once the loss of Indian vultures was linked to the use of the veterinary drug (diclofenac), the drug was banned by the government. Pest Control by Birds (Pest Insects, Pest Rodents): In Dr. Whelan’s experience insect-eating birds can provide services that are equal to and in some ways superior to the actions of chemical insecticides (such as DDT and others) for control of pest insects. Why? Birds as a group are better at controlling insect pests because each bird species has its own unique ecological niche, and each has its own foraging strategy. 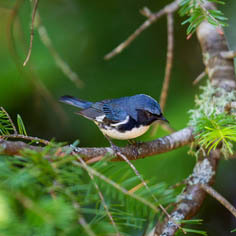 Birds naturally exist in different levels of the ecosystem: some are ground feeders (sparrows) some are treetop feeders (warblers), some catch insects on the wing (swallows, swifts, flycatchers), others feed at midpoint in the tree canopy. 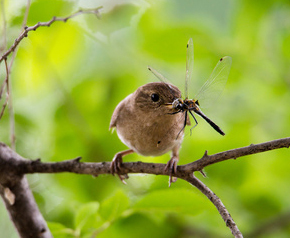 Birds’ diverse feeding styles make it hard for the plant eating insects to develop a “one size fits all” defense against bird predation in the same way that pest insects become resistant to chemical insecticides (such as DDT and others). Birds have successfully controlled insect pests in apple orchards, and in fields of commercially-grown broccoli. In the coffee plantations of Central America Black-throated blue warblers consume caterpillars and other insects that damage coffee plants. Pest Rodents: Birds can function as biological rodenticides. 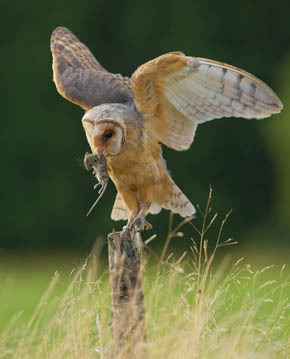 Barn owls have been used as biological rodenticides in agricultural areas worldwide including: in palm oil plantations, in a variety of field crops (wheat, sweet corn, alfalfa, corn, and oats), as well as in date plantations. They are effective agents for rodent control. A study carried out in a Missouri white oak forest by Dr. Whelan and Dr. Marquis considered the question – “Can birds benefit plants by consuming plant-eating insects?” In planning the work these researchers adopted a plant-centered view-point. Young (sapling) white oak trees were sorted into three experimental groups. In the first group, the trees were surrounded with netting making them accessible to insects but not to birds. In the second (control) group uncovered oak trees were exposed to insects and birds. In the third group the oak saplings were treated with an insecticide and they remained uncovered (exposed to birds and insects). Results of the Whelan/Marquis study showed that the caged sapling trees from which the birds but not the insects were excluded had a significantly reduced leaf biomass when compared to either the untreated controls or to the insecticide-treated trees. These results showed that keeping the birds from reaching the trees by covering them with netting allowed insects to feed on and damage more leaves than in either of the other groups where birds could access the trees and feed on the leaf-eating insects. It also showed that the beneficial effect of the birds feeding on and removing damaging insects by itself was comparable to the spraying of a chemical insecticide in terms of reducing the number of insects damaging the leaves. The study results, expressed from the trees’ perspective showed that: “The enemy of my enemy is my friend.” This is an example of the top down effect, described in ecology as a “trophic cascade” 2. Dr. Whelan noted that birds have inspired artists, writers and musicians throughout history. They continue to be responsible for tourism, falconry and birdwatching (birding), a major hobby. In the U.S. alone there were 45 million birdwatchers, supporting over 860,000 jobs in 2001. The numbers have increased significantly per 2018. Eider Ducks are a source of down for insulation and bedding, a service that has been accomplished sustainably. Ducks and geese are hunted for food. Funds collected from hunters support maintenance of natural areas such as parks and refuges. He emphasized that birds and nature have intrinsic value. He mentioned Aldo Leopold’s Land Ethic as a natural progression in human moral and ethical evolution. Finally, Dr. Whelan reminded us that our ultimate goal should be better decision-making — that improves human lives while conserving the natural world that sustains us. This approach is important from the perspective of envisioning the earth as a life-support system — a concept consistent with the philosophy of Rachel Carson as expressed in Silent Spring. Research by Dr. Whelan and others indicates that landscapes could be designed to welcome wild birds as substitutes for chemical pest controls. Barn owl nest boxes in orchards have resulted in avian rodent control replacing chemical rodenticides. Organic coffee growers in Central America have found that Black-throated blue warblers effectively remove leaf-eating caterpillars from coffee plants reducing the need for chemical insecticides. Birds providing pest control save farmers the cost of chemicals and contribute to functioning ecosystems that could help to keep farmers, their farm lands, their streams and rivers as well as the surrounding communities healthier. Avian cultural services help people connect to nature, with experiences of beauty, discovery and delight. The simple pleasures of observing birds or listening to their songs can lift the spirits of many (including artists, photographers, musicians and birding hobbyists). Chemical company people in Rachel Carson’s day scoffed at those objecting to the poisoning of birds by DDT and other pesticides just as today the fossil fuel energy companies, their agents and certain legislators seek the removal of all legal constraints against the killing of birds by industrial actions be they oil spills, chemical spills, or even unprotected waste oil pits (known death traps for migratory birds). There are various ways that birds’ positive monetary impact on human society can be described. 5 The economic valuation of avian ecosystem services needs greater public prominence in order to convey the many reasons for keeping birds safe from: habitat loss, diminished food sources, pesticide use, industrial accidents, and predation by free-roaming cats. We thank Dr. Whelan for his riveting and informative science-based presentation on avian ecosystem services. It provided our audience with the taste of an exciting field of study on birds in our lives in this the “Year of the Bird.” We hope it will empower many who care about the natural world to take steps to help protect birds and their food sources on private property, and/or local public spaces as well as to share information with family and friends. Take time to learn more about avian ecosystem services so that you can make a strong case for the value of birds threatened by loss of habitat, reduction of legal protections, or other negative impacts. Support RCLA with a donation. When we lose birds we lose the valuable ecosystem services that they provide. 1 Whelan Biosketch: Christopher J. Whelan, Ph.D. is an Evolutionary Avian Ecologist with broad interests in the functional roles that birds play within ecosystems. 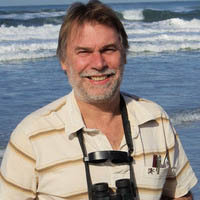 Whelan received a BS in Wildlife Ecology at the University of Wisconsin at Madison, and a Ph.D. from Dartmouth College. After a postdoc at the University of Illinois (Urbana-Champaign), Whelan moved to the Chicago region, where he has been associated with the U. of IL at Chicago since 1991. He is a Research Associate with the Field Museum of Chicago. 2 (Definition of “Trophic Cascade”) A trophic (feeding) cascade is an indirect interaction in which a top avian predator benefits the resource (a plant/tree) owing to its consumption of an intermediate predator (insect pest). 4 When a chemical pesticide is registered under The Federal Insecticide, Fungicide and Rodenticide Act (FIFRA) by the USEPA there is a requirement for consultation with the Interior Dept about the protection of listed (endangered and threatened) species under the Endangered Species Act (ESA). The reason for the consultation is that “The EPA’s ecological risk assessments often show that the legal applications of certain pesticides will almost certainly kill non-target species that happen to be nesting, feeding, flying or swimming in and around treated farm fields…in the real world of pesticide regulation, birds, fish and bees are expendable.” (Dr. Chuck Benbrook, Pesticides News 82, Dec 2008) Bird habitat and food sources are not required to be protected from pesticide poisoning under FIFRA, but they are required to be protected under the ESA. When under ESA use of a toxic chemical pesticide is prohibited in order to protect a listed species, other wildlife sharing the habitat also benefit. The ESA’s habitat requirements (in addition to protection from pesticides’ hazards) have safe-guarded ecosystems from commercial development in: forests, areas along coasts and parts of the Everglades.